The Motion Picture Association of America has requested that Megaupload's host, Carpathia, retain about 25PB (yep, that's petabytes) of data. According to Wired, this move follows an earlier appeal made by Carpathia where the hosting company had asked the court to relieve it from its obligation of hosting Megaupload's enormous data cache. Carpathia claims storing those files costs the company about $9,000 per month. This information seems to conflict with earlier reports where the court supposedly gave Carpathia and Cogent its blessing to delete files. Access to the Megaupload's files was abruptly cut amidst legal troubles, leaving the now defunct file locker's users in a lurch. Worried about honest individuals losing their legitimate data, the EFF partnered with Carpathia to retain Megaupload's user data until the organization could flesh out a plan to restore files to their rightful owners. The MPAA says it intends to use that data for future lawsuits against Megaupload or "intermediaries". Although no details were given about who those intermediaries may be, MPAA vice president Howard Gantman claims the organization does not intend to sue individual users. Federal authorities have copied about 25GB of data so far. There is no indication of how much data authorities will need or how much additional time will be required. 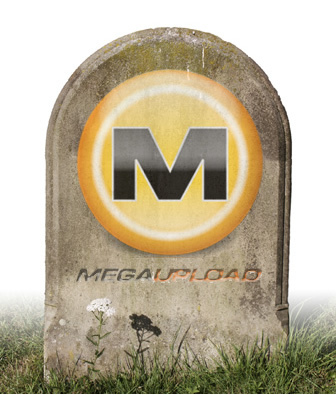 As a result, the MPAA has also requested that Megaupload's frozen assets be used to fund Carpathia's ongoing expenses until the files are no longer needed. While the fate of Megaupload's founders hangs in the balance, some scammers have begun doing what they do best -- preying upon unwitting citizens. It appears that fake settlement documents are being distributed to former Megaupload users. The documents attempt to exort money from these individuals by offering an option to pay an attractive out-of-court settlement or face prosecution. While this is not an unusual activity for real legal agencies, the documents are being deemed as bogus, replete with fake IP addresses, timestamps, a law firm that doesn't seem to exist and no specifics on what users will be sued for.